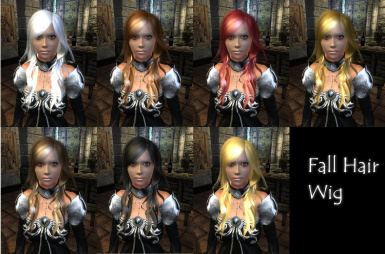 This is the wig version of the Fall Hair 001 (the other versions may follow up later). The wig comes in seven colors. 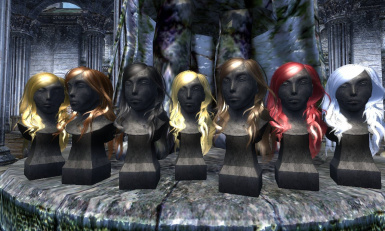 Thoronir in "The Copious Coinpurse" in Imperial City Market District sells you the wigs. 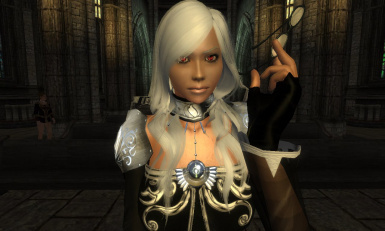 To install this mod just put the meshes and textures folders and the "Fall Hair wig - EV".esp into your Oblivion Data directory, activate the esp via Oblivion Launcher -> Data Files, play Oblivion and enjoy. Ignore the other esp which is for German speaking users. You can do what you want with the mod with the agreement of Peggysims and contact Fallen20 and me before.